Well, July has come and gone! What? Now is when the much coveted veggies and fruits are coming on for us, Midwesterners! 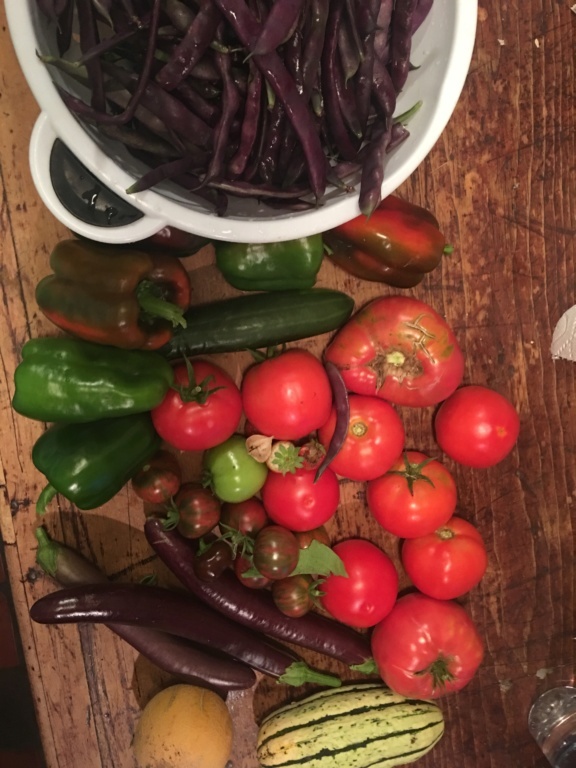 Maters, squash, beans, peppers; and time to start Fall planting or at least planning! We had just over an inch of rain a few days ago, which helped to sprout my turnips, and this morning it's a little foggy with a slight drizzle and about 59* F. I'm going out to the garden shortly to bask in the coolness. It's going back up into the 90's by Friday. Going to top off my two 4x8 beds with compost this morning and maybe plant some radish and lettuce just to get things going. @MrBooker wrote: We had just over an inch of rain a few days ago, which helped to sprout my turnips, and this morning it's a little foggy with a slight drizzle and about 59* F. I'm going out to the garden shortly to bask in the coolness. It's going back up into the 90's by Friday. Yes, warming back up here as well, for the weekend. Sounds like a plan! Didn’t get home in time to get out there. Know there are things needing picked! Cukes, pole beans, Peppers! Will set up my camp stove situation this weekend...and get some provisions in, I have a list! Am kinda scared, I will be honest. Just going to do water bath. Baby steps. @Scorpio Rising wrote: Didn’t get home in time to get out there. Know there are things needing picked! Cukes, pole beans, Peppers! My wife canned for many years without incident. She actually had TWO pressure cookers going at once. She would even use the pressure cooker to cook a pot of beans. Once you get the hang of it, you'll find it's pretty easy. The canned food seemed to taste SOoooo good during the cold winter months. One of the biggest rewards for us was when we took the jars out of the cookers, was to hear the lids "snap" when they cooled down. That meant they were sealed. You'll get to know and love that sound. You can even thump the lid after the jars cool.. If it's not sealed, it will have different sound from the sealed jars. Sometimes you'll get a jar that didn't seal and that's no biggie. Just use that jar for dinner or put in the fridge and use it later. OBTW: Sometimes you'll have a recipe that calls for a dash of salt before screwing the lid down. Be sure to take a damp paper towel and wipe the top of the jar down. Even a grain of salt can keep the lid from sealing. Thanks for the words of encouragement, Mr. B! I plant to do some pickles, and a few refrigerator pickles too, as well as pickling some green beans (fell in love with these in New Orleans—spicy beans in Bloody Marys —oh my! And I have a ton of jalapeños! I bought the Ball Big Book of HOme Preserving last winter, so it’s go time! 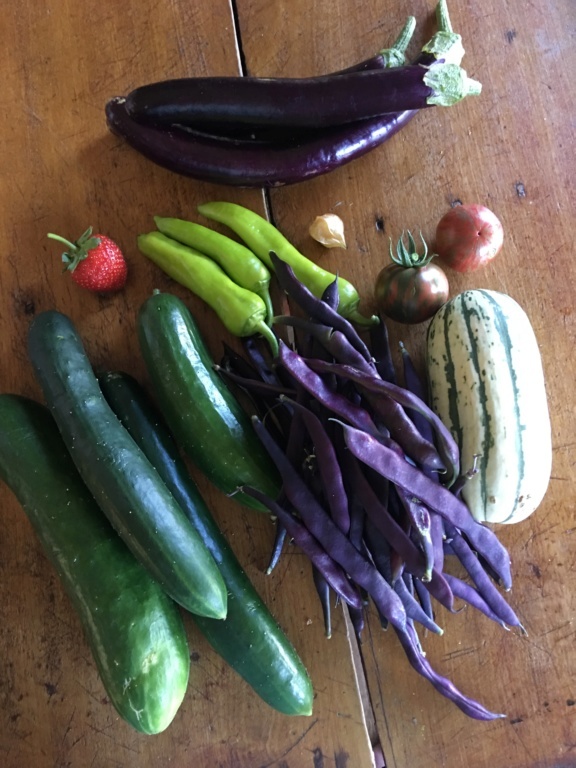 Purple green beans, cukes, eggplants, banana peppers, Delicata squash, 2 black Vernissage maters, a strawberry and a ground cherry. 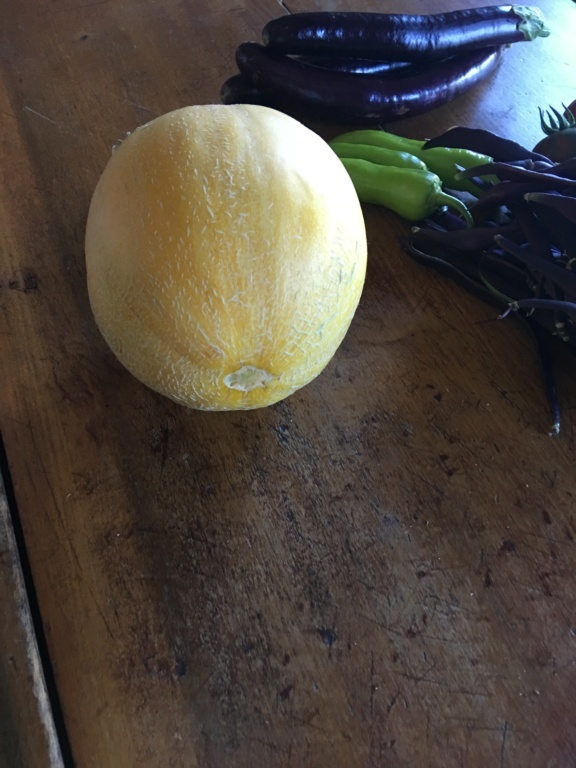 My first Minnesota Midget muskmelon! @Scorpio Rising wrote: Am kinda scared, I will be honest. . . . Just going to do water bath. Baby steps. I think that is the best way to start. I started with water baths. 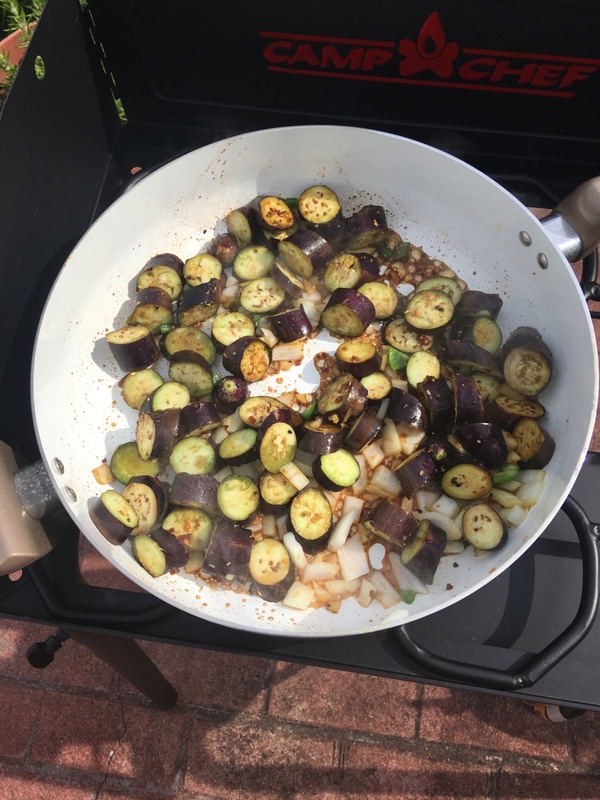 Last summer was the first time I cranked up the pressure cooker. I filled it and played around with the pressure and flame until I felt comfortable. Just about wore out the instructions. Then I canned tomatoes! I just mowed and watered for an hour, HOT out there! The humidity is killer. I am done, even though I need to pick beans and cukes a a couple tomatoes...gonna have to wait. Might try to do this in the AM. Early. I will post a pic of my outdoor canning/camp stove set-up when I get it happening. Need to find a grill cover for it. Might be one in my basement, actually...my propane grill sits up under my eaves, so I don’t cover it. Enjoyed my first melon yesterday. And made guacamole with my cilantro and jalapeño and garlic! Noticed first sign of PM on my Delicata squash plant. Will spray with milk tonight! So far this year I have canned potatoes, tomatoes, and pickles. Our bush beans just aren't producing much. The pole beans are coming on. The wind blew down about half of our corn. It did go ahead and put ears on but I will have to wait and see if they managed to get pollinated. @DorothyG wrote: So far this year I have canned potatoes, tomatoes, and pickles. Our bush beans just aren't producing much. The pole beans are coming on. The wind blew down about half of our corn. It did go ahead and put ears on but I will have to wait and see if they managed to get pollinated. Nice! Yeah, my bush beans were a late entry crop, in a vacated bolted lettuce square. I haven’t grown bush beans in decades! Planted wax beans, love them homegrown. Camp stove set up on patio: ready to go! 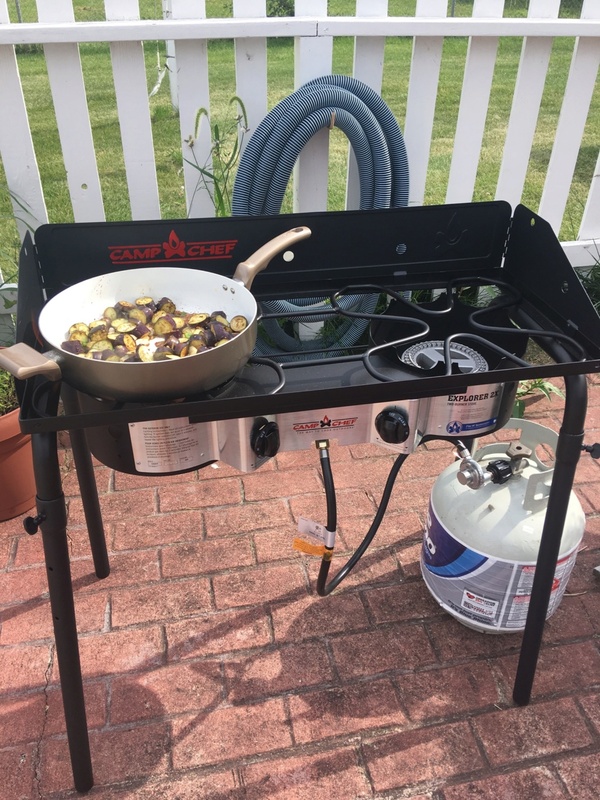 Stir fry with eggplants, garlic, onion, spices, and served with teriyaki cauli rice—maiden voyage for the outdoor stove! Well, just picked stuff. Pole beans, a bunch, gave some to the neighbors who this is their first year with revised beds (not SFG, still working on them). Cukes, peppers, a couple big reddish maters. Know that I will be canning pickles this weekend! Gonna pull Yukon Golds this weekend. Just got garlic shaped up for storage, have 3 or 4 that need to be used in a few months. Others look nice and good for storage! Supposed to get a break from the oppressive heat and humidity soon, but no go yet. What are y’all doing, eating, planting, pulling? Planning??? OhioG: Nice! 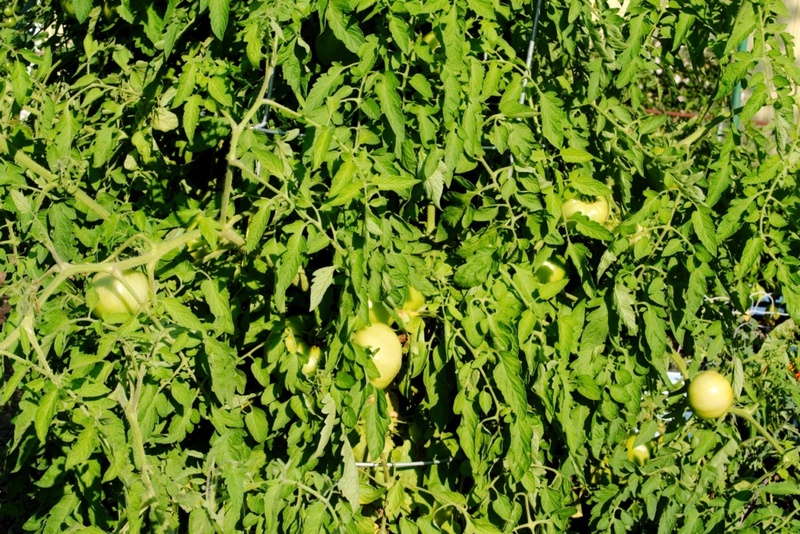 I have never grown full size yellow tomatoes, but grew yellow pear cherry tomatoes several times and loved them. 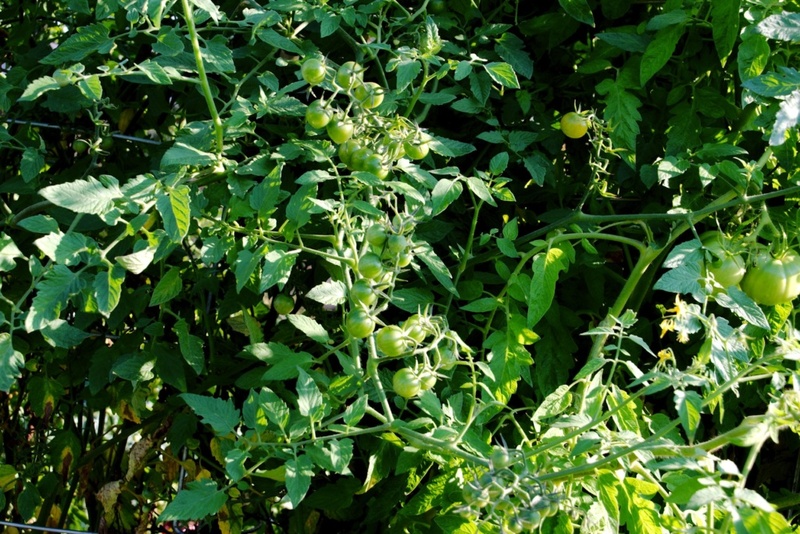 Cherry tomatoes go nuts, and I did not grow any of them this year. Kind of bummed, but there is always next year! I am looking up pickle and relish recipes for these cukes and peppers! Might see about a sweeet jalapeño jellly/jam thing too, I have a ton of them in the freezer from last year, and a productive little plant out there! 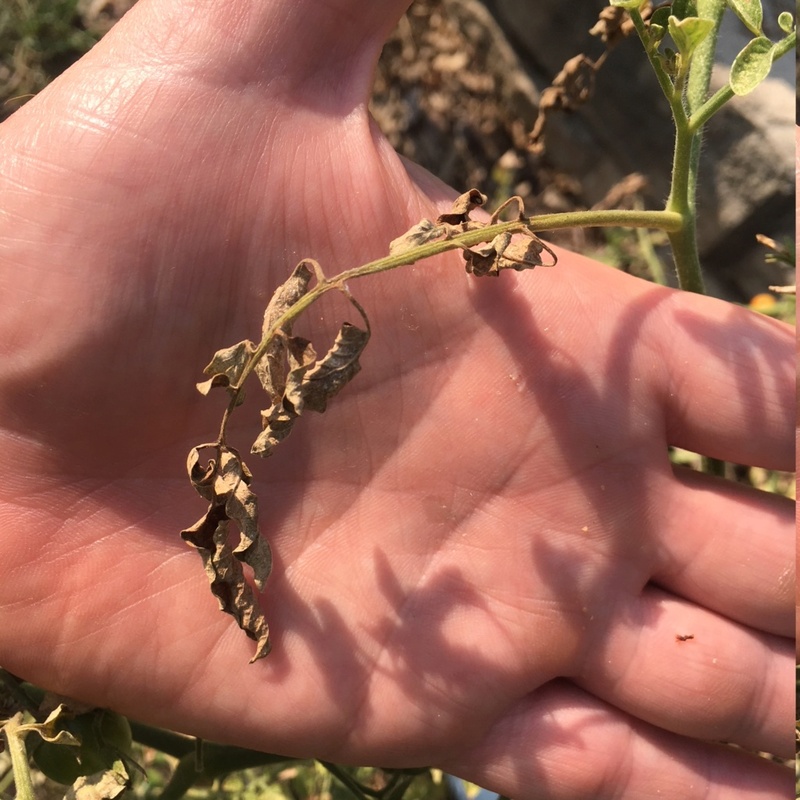 It's been a tough gardening year in NE Kansas this year...heat with no rain...a few wins and some fails. 1. Beets: Major win...picked and pickled over 5 gallons of cylindra beets. With no rain they were kinda on their own and flourished in terms of final production. 2. Cabbage: fail on several varieties...typically I can grow these with little problems. 3. Green Beans: fail...infested with spider mites. 4. 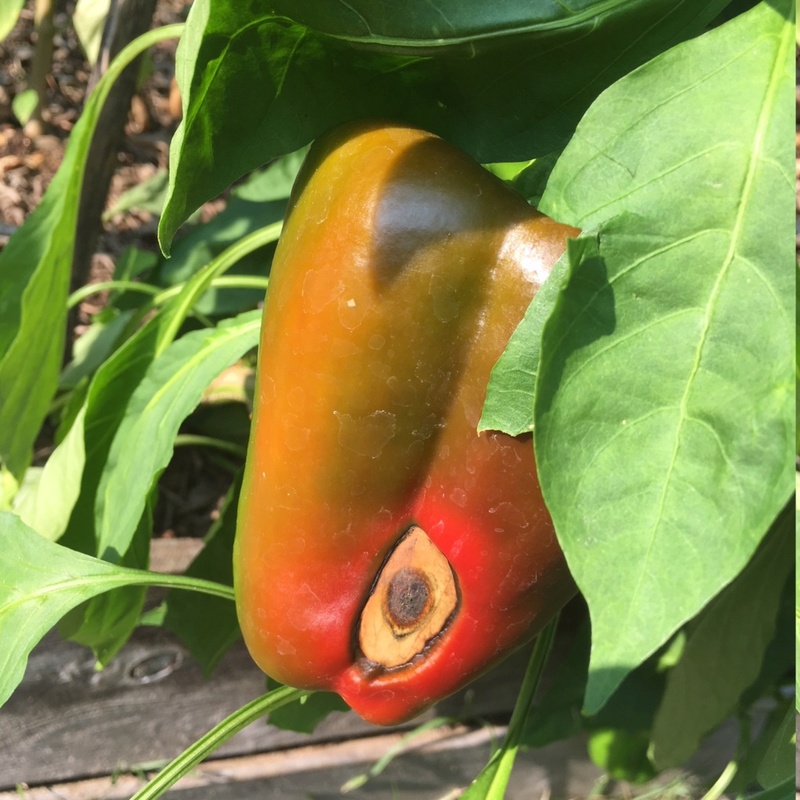 Tomaotes: fail...heat shut down fruit set for weeks at a time and I think I'm also dealing with Fusarium Wilt for the first time. I should be picking crates of tomatoes a week and am lucky to get a handful. Some luck with Sungold Cherry and Black Cherry at least producing some. 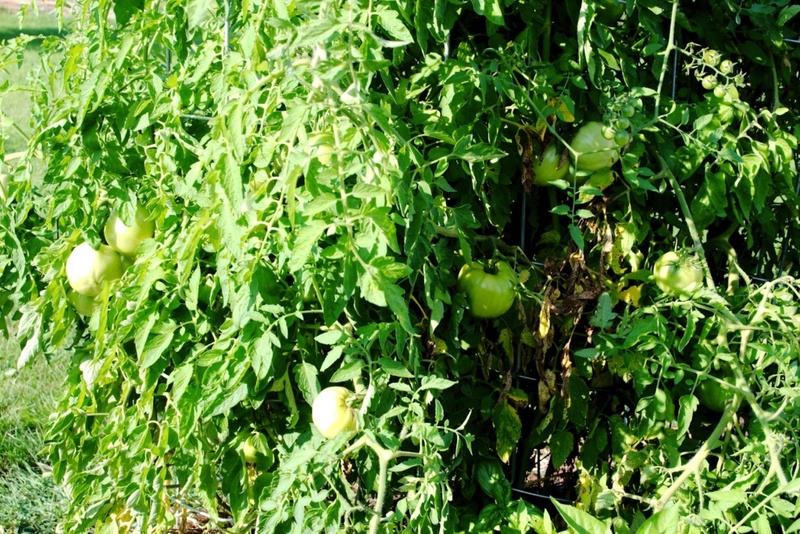 Big tomatoes staying green on the vine forever. 5. Eggplant: win...Rosa Bianca churning out more eggplants than in years past. 6. Peppers...fail...usually grow healthy, thick-walled pepers (I like King Arthur), and this year with different varieties (California Wonder, Yolo Wonder) getting little to nothing. What I do get are thin-walled and embarrassing. 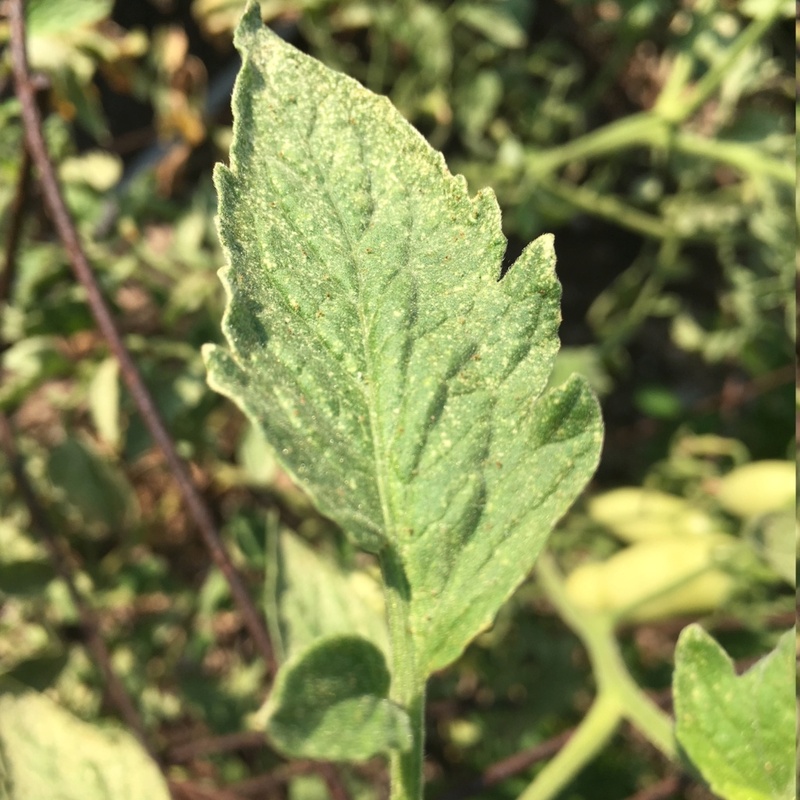 Having best luck with Giant Marconi, however even after using espom salt, getting blossom end rot. 7. Cucumbers: mixed results. Currently picking a handful of Persian Baby each day, however a total fail on Chelsea Prize...plants sucked dry by spider mites. Too many leaves to spray with expensive neem oil. Ripped them out and did a late seeding of more Persian Baby. then turn brown and crispy along with the stem...this matches Fusarium Wilt pics I can find on-line...any thoughts? 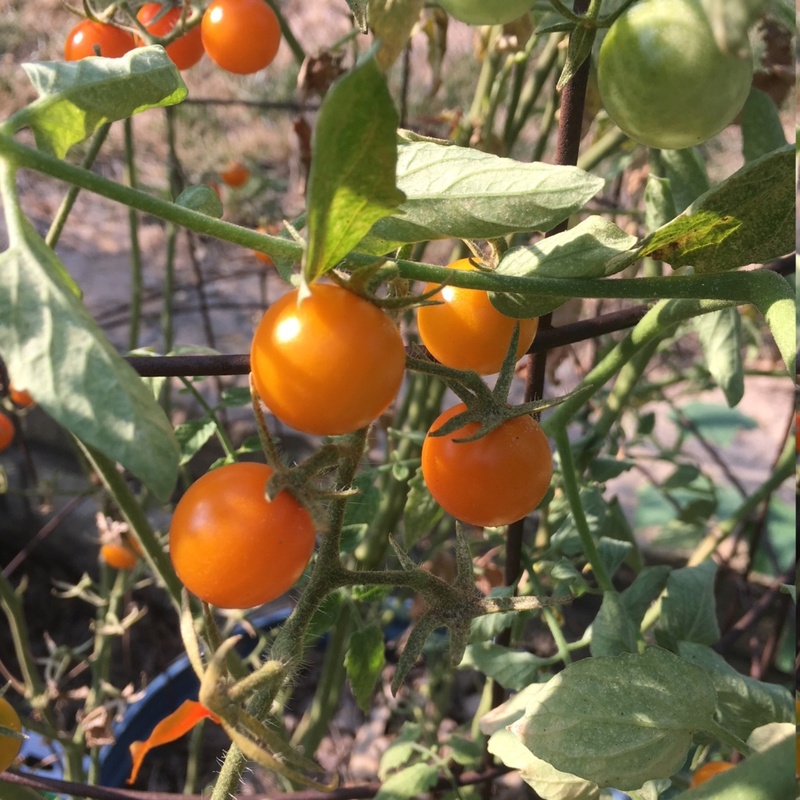 Sungold Cherry still producin fruit even though leaves are turning crispy on a daily basis. 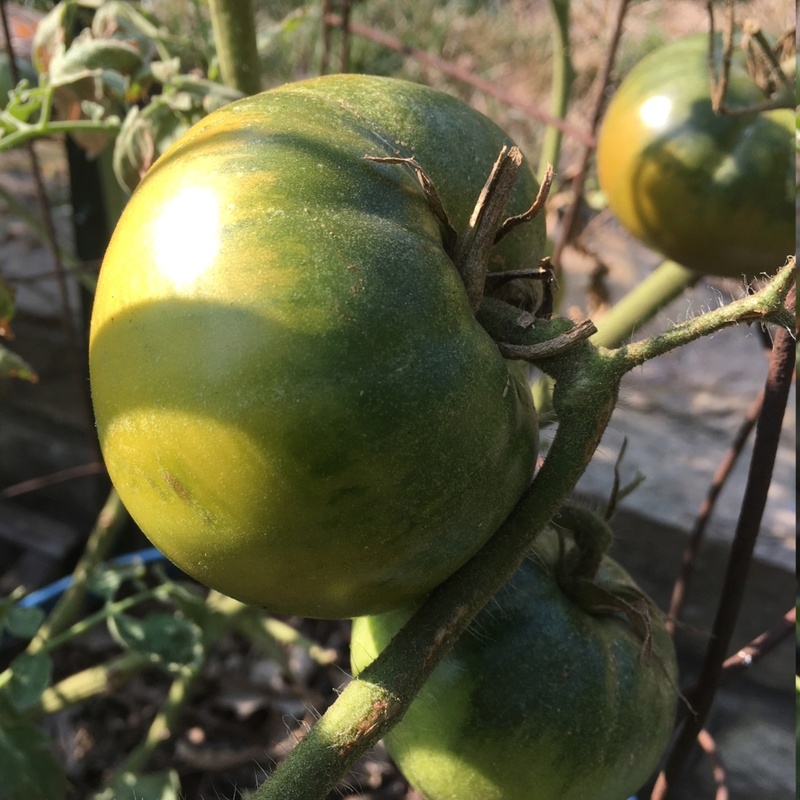 Carbon tomatoes on the vine forever...turning dark green instead of red. 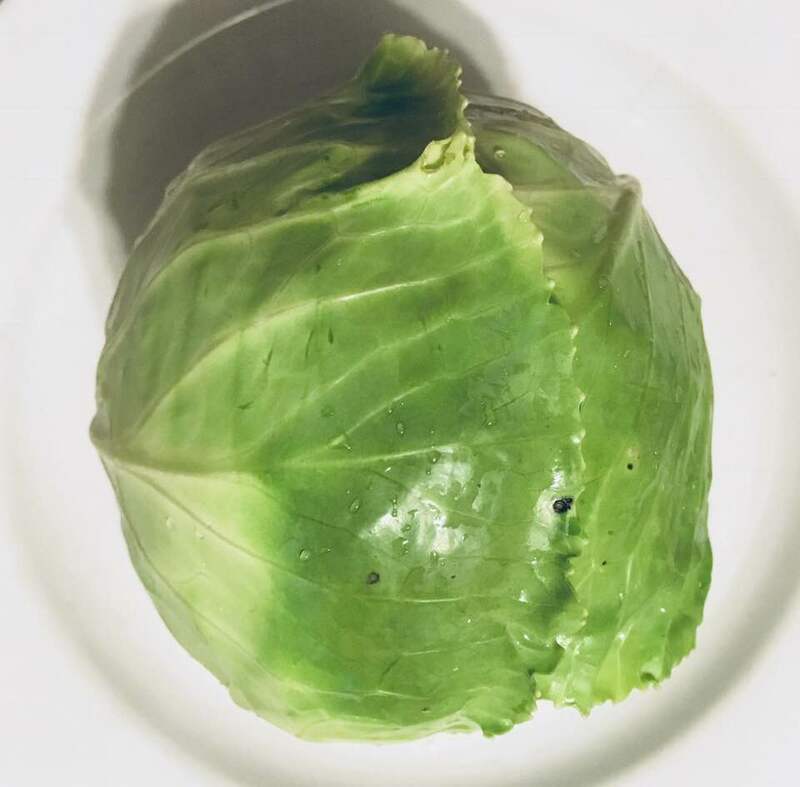 Green Cabbage...I slice thin and add to summer salads. 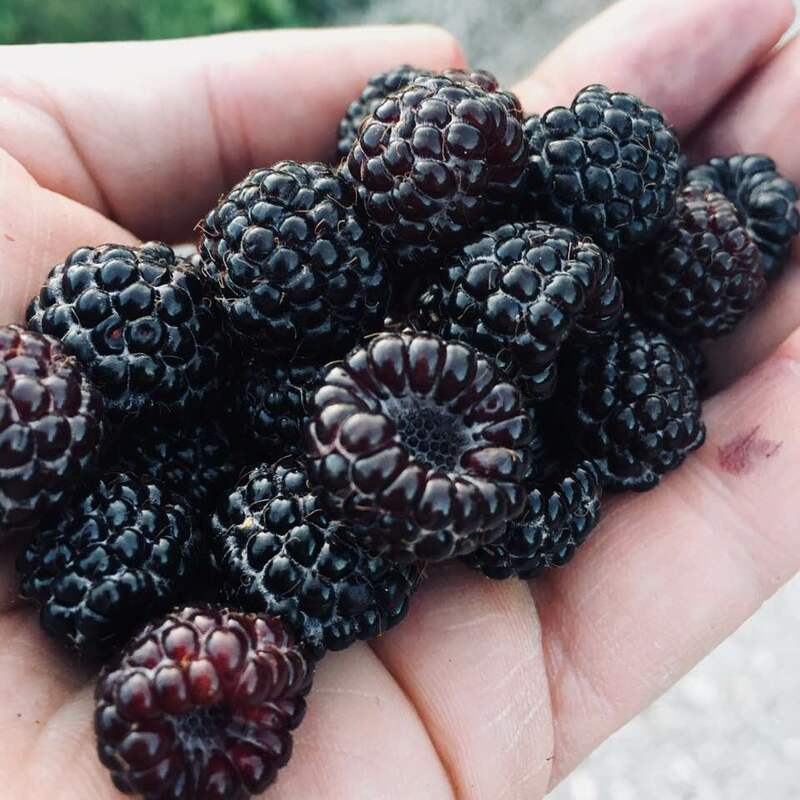 Wild Black Raspberries from Father-in-Law's property in Iowa...they pick 5 gallon buckets of black raspberry and gooseberry growing along the creek. 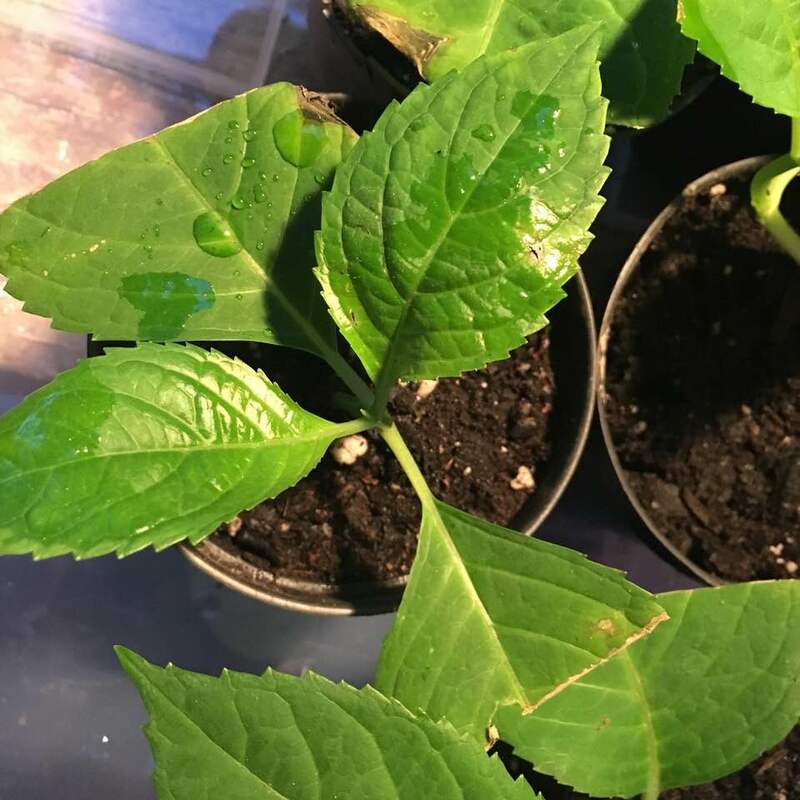 It's been so hot this summer I've spent more time int the shade garden...starting hydrangea cuttings as an experiment. "Wins and Fails" is exactly what my garden is like this year, also. Late spring, early harvest, then hot and hotter. Here, I picked a couple pounds of purple pole beans today. Cucumbers are done. Picked the last few strange little things, egg shaped cukes and curved inadequately polllinated ones. A few tomatoes. I am seeing the maters shut down too. Need to top them so they can finish what they started! Also, need to get the lettuce babies out there. Eggplant is doing great! And the delicata...just not sure when to pick it? Also got my first Sakatas Sweet melon today! 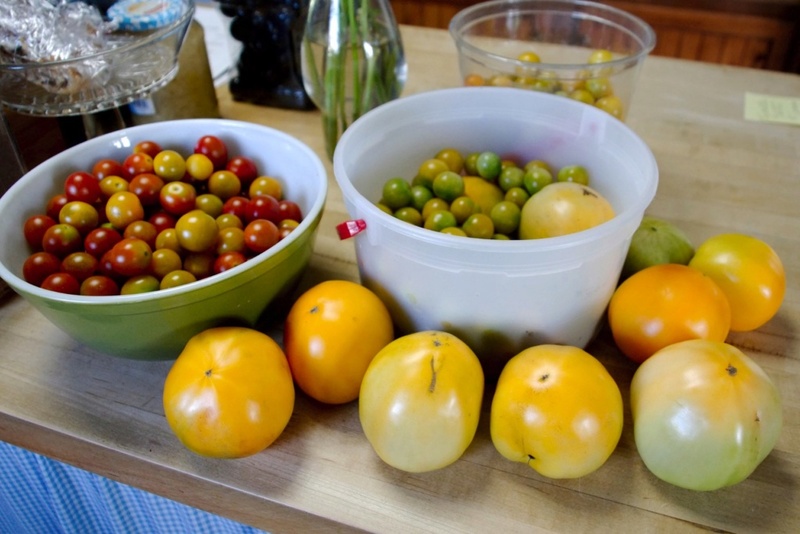 Picked a few tomatoes this evening, but there is approximately one gazillion more on the plants to ripen yet. 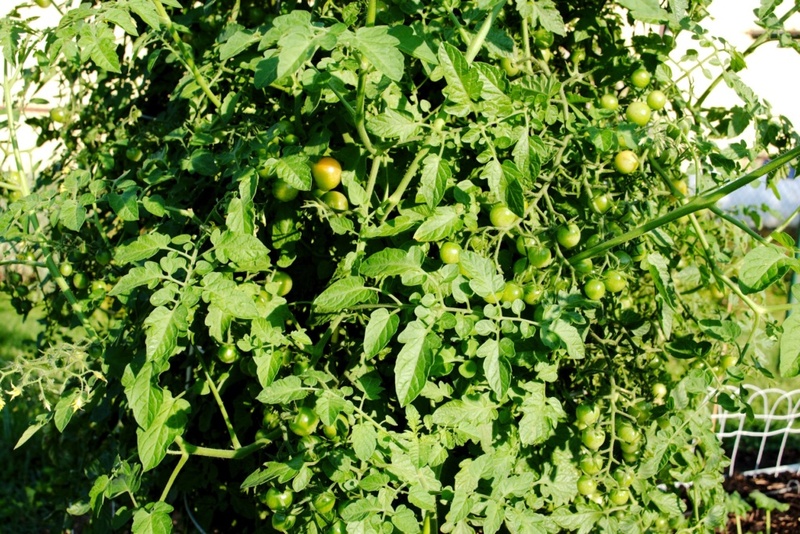 We didn't plant any large red ones this year, just red & yellow cherry tomatoes, and Golden Jubilee (our favorite). 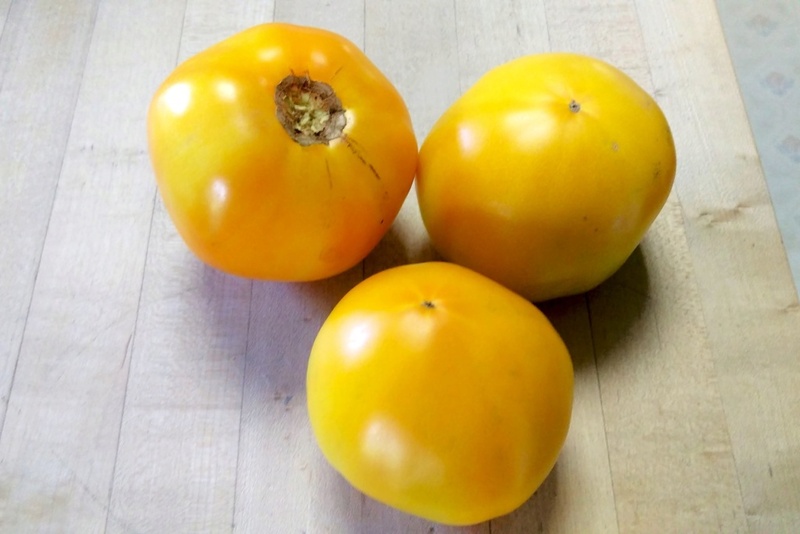 The Golden Jubilee tomatoes are so big and heavy that if we bump the bush tomatoes fall off the plant, so we end up with some partially ripe ones when we pick them - they weigh between 10oz and a pound each. Thanks, Scorpio! The Golden Jubilee are con on full strength now. I can't eat the red ones due to an allergy, but I don't have any problem with the yellow ones, so grow lots of yellow cherry tomatoes and the large Golden Jubilee. Had a BLT with several thick slices of the Golden Jubilee for lunch, and it was mouth-watering! 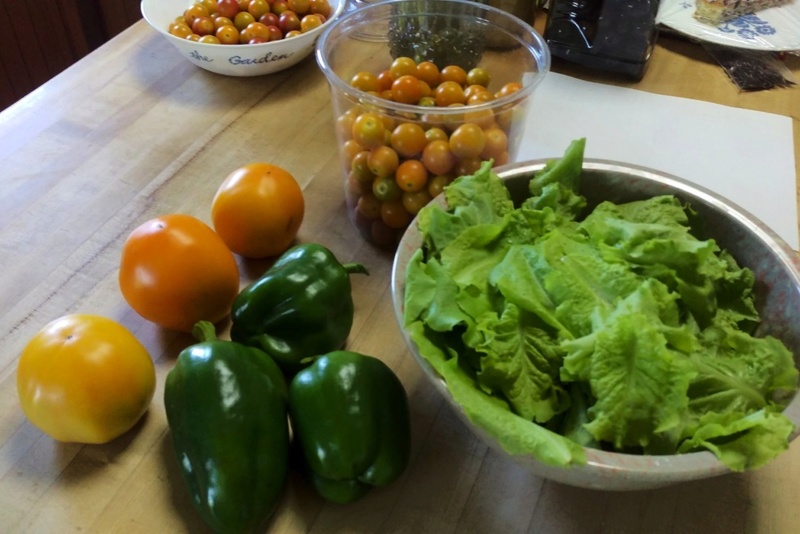 Today we harvested tomatoes, lettuce, beans, radishes, spinach, brussels sprouts, and Mizuna. Love the fresh vegetables of summer! Oh yeah, we have to savor this because we know what’s coming!!!! I've not been here in a while. It was a busy summer at the library! 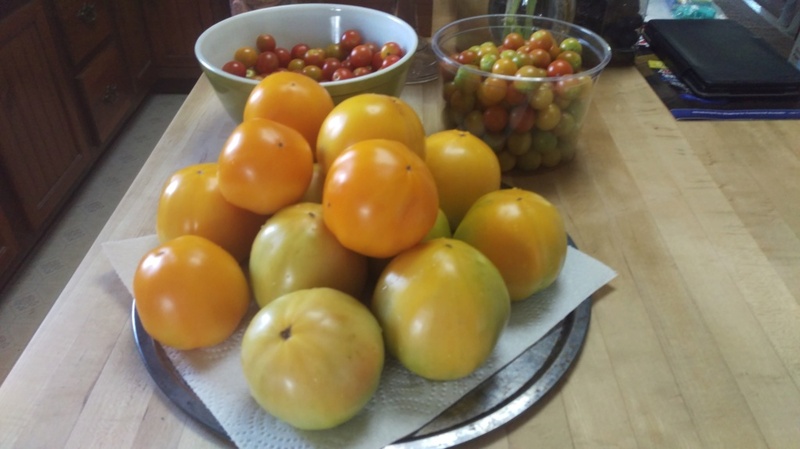 We had more tomatoes than expected (thanks for the suggestion to roast and freeze the Romas). 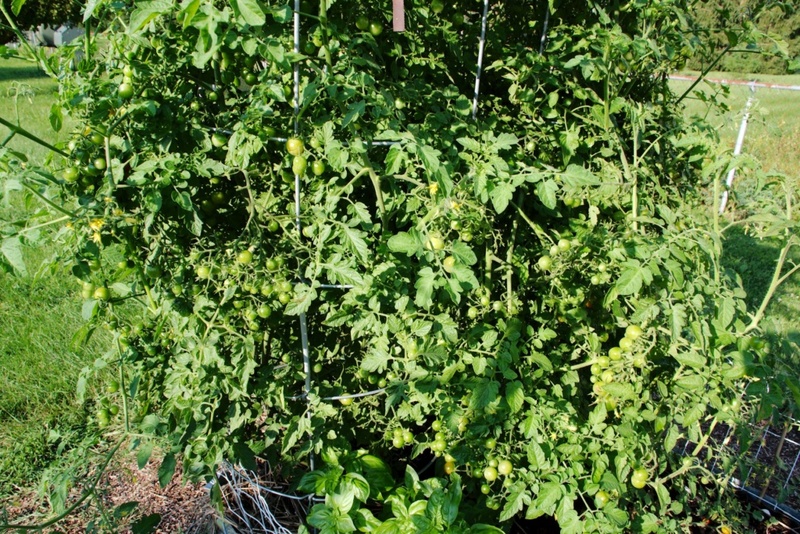 I thought that the Romas would have finished producing as they are a determinate variety, but they are covered with new blossoms. We had an abundance of cherry tomatoes. I don't know if it was the heat or the rainy summer that caused tomatoes to split, especially the Better Boys. We've had plenty, though, for bacon and tomato sandwiches. I had forgotten how good a home grown tomato tasted! We've had plenty of okra and a lot of cucumbers. We picked jalapeno and banana peppers, but the bell peppers didn't produce. 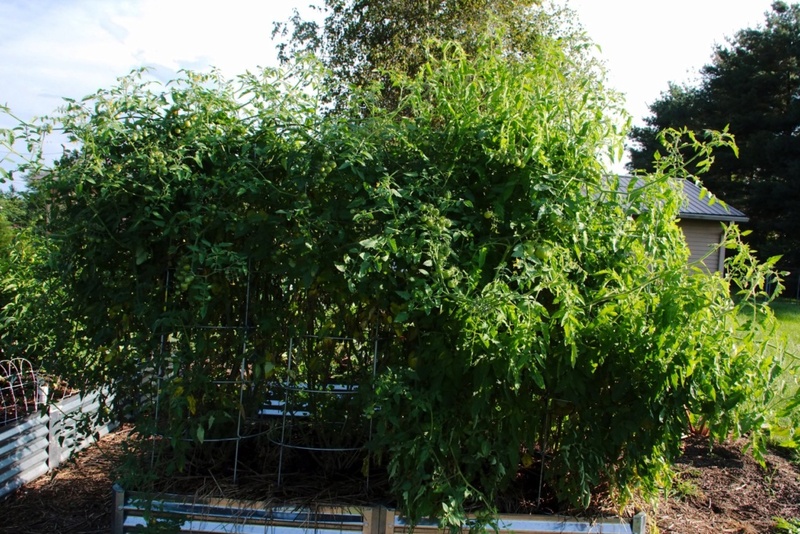 I think the tomatoes blocked them from getting enough sun. The squash, zucchini, and watermelon fell victim to disease. We were, however, able to enjoy vegies from each before the plants wilted. Lima bean pods are filling out. The corn has survived the storms and high winds. The Minnesota Midget cantaloupe is fruiting... I can't wait to pick one! Now that things are slowing down, I'm thinking ahead to a fall garden. I'm also adjusting my plans for next spring based on things learned this year. I'm looking forward to reading about your gardens! Just all happening RIGHT NOW!!! Planning on salsa when I get all the maters assembled! Purple Podded beans? Mine never produced with the heat. @sanderson wrote: Purple Podded beans? Mine never produced with the heat. Yeah, they are Blauhilde from Baker’s Seeds...they are easier to find in the bean forest, and the JBs don’t seem to like them as much, also the pollinators love them! I also started some wax bush beans for fall, we will see if they happen before it gets cold!